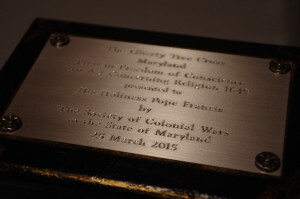 On a pleasant morning in March, the second of the three “Liberty Tree Crosses” made its journey back to the oldest brick church in Maryland, the Jesuit Chapel of 1661 in St. Mary’s City. 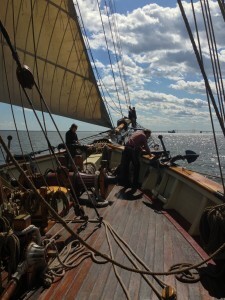 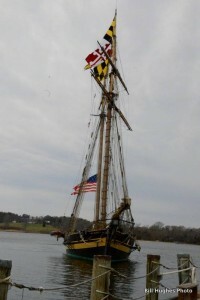 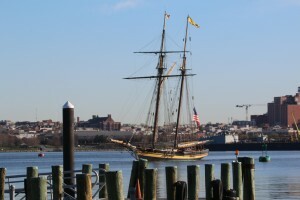 Maryland’s Goodwill Ambassador, an early 19th century schooner, The Pride of Baltimore made an 18 hour voyage from Ft.McHenry down the Chesapeake Bay to deliver the cross to the chapel. 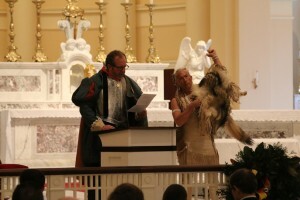 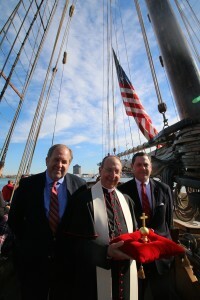 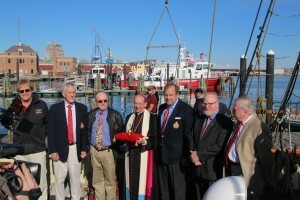 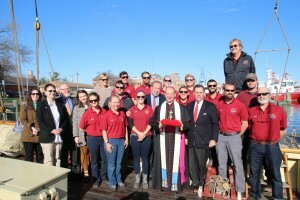 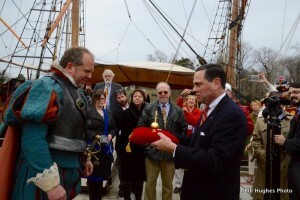 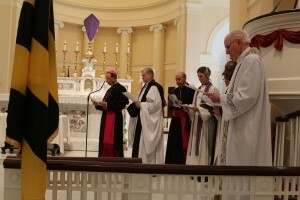 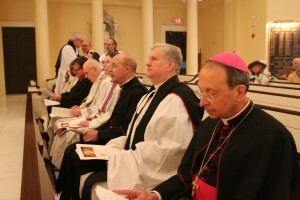 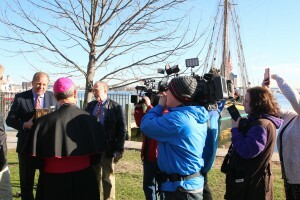 Before departure, His Excellency The Archbishop of Baltimore blessed the cross, crew and ship. 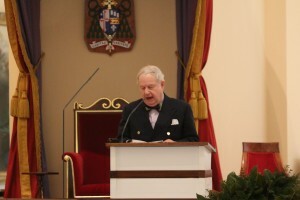 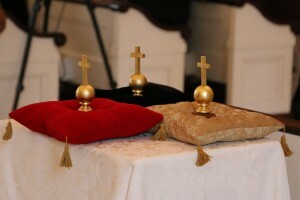 The Society planned a bus trip for the next day to participate in the presentation of the cross. 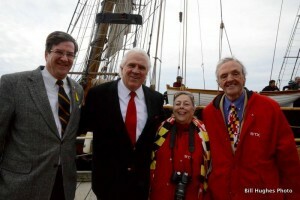 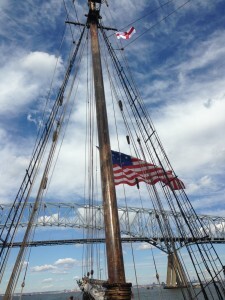 The Pride of Baltimore was met at the pier by Governor John Lawrence Bruch III, along with fellow warriors and their families. 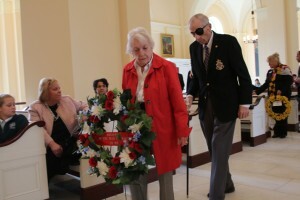 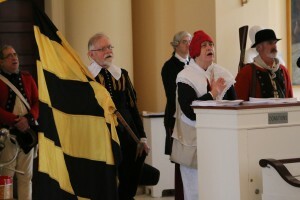 Included were representatives from the Ark and Dove Society and the National Society of Colonial Dames in the State of Maryland. 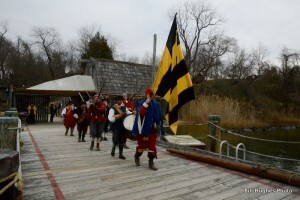 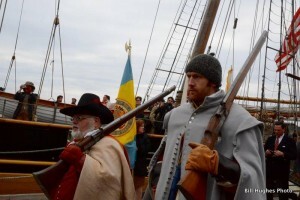 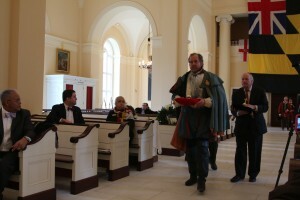 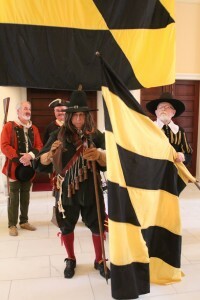 In a procession under the Society colors and 17th century militia re-enactors, the party made its way from the pier through the old city to the chapel. 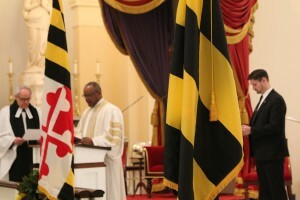 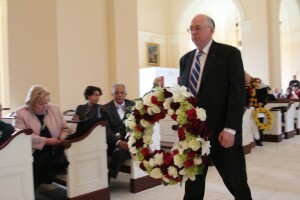 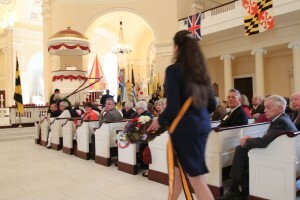 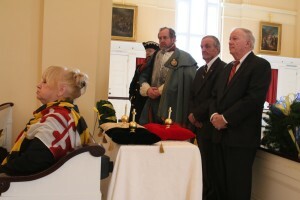 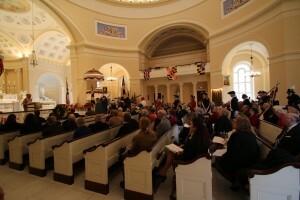 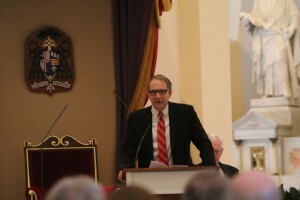 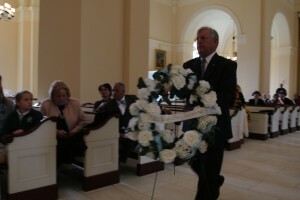 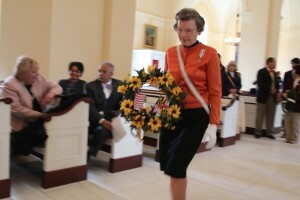 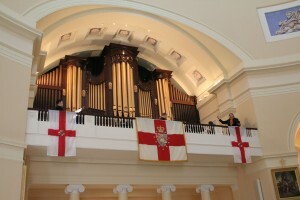 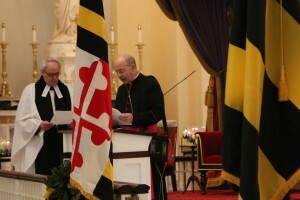 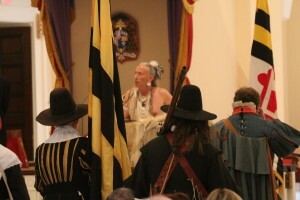 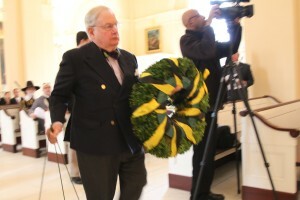 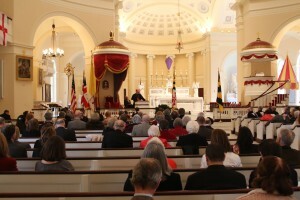 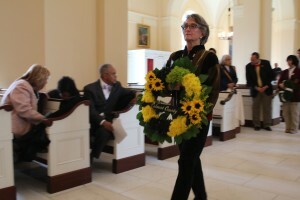 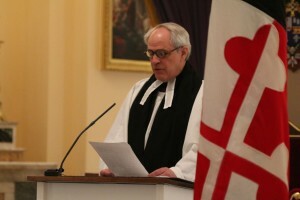 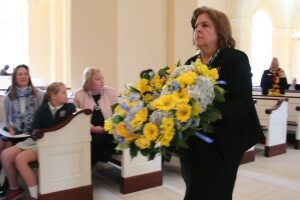 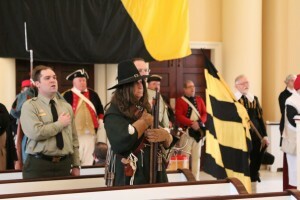 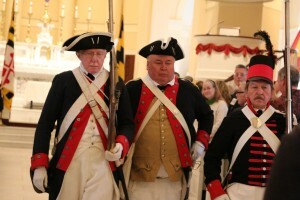 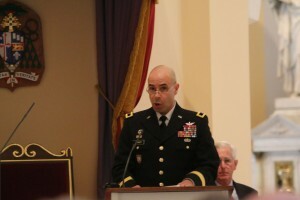 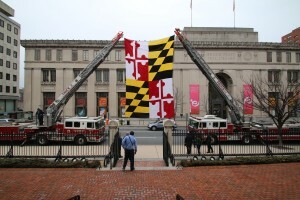 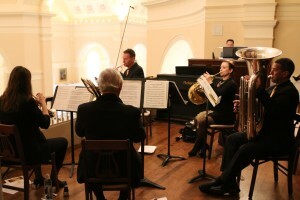 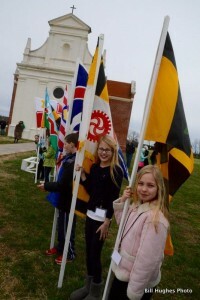 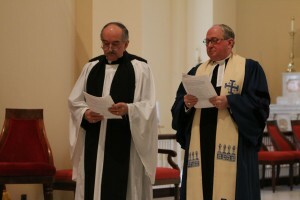 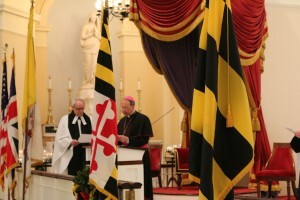 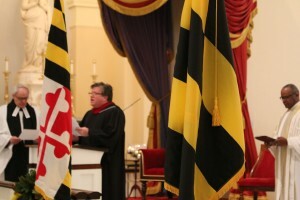 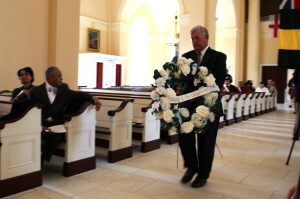 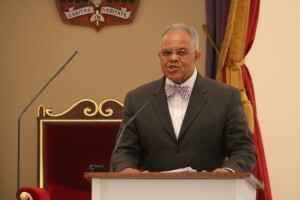 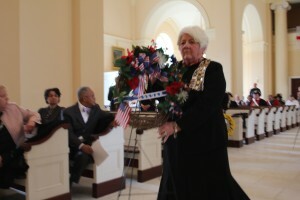 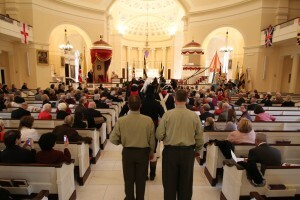 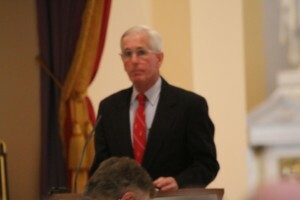 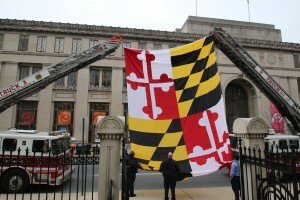 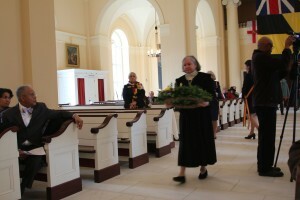 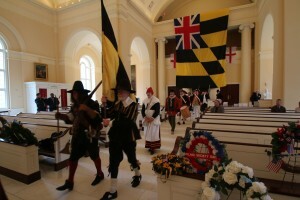 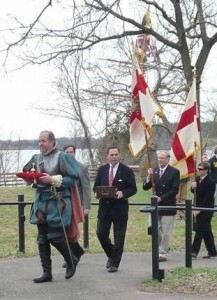 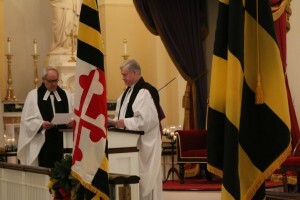 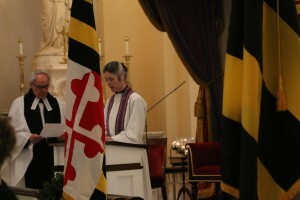 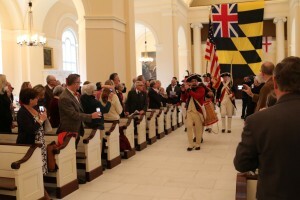 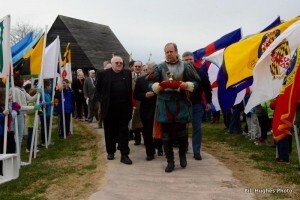 600 people along with elected state officials attended the ceremony celebrating Maryland Day, the return of the lead coffins belonging to Philip Calvert and family and the placement of the”Liberty Tree Cross”upon the altar of the chapel. 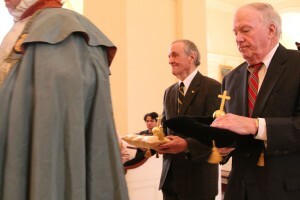 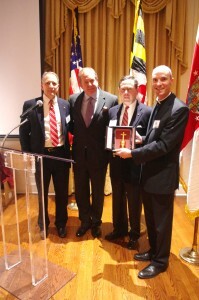 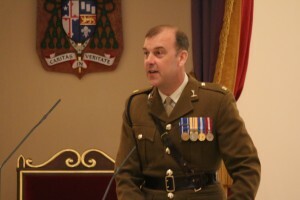 The third and final “Liberty Tree Cross” was presented in April to His Royal Highness The Prince of Wales. 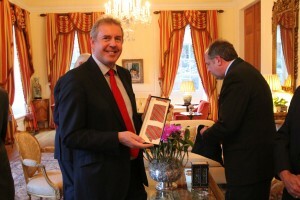 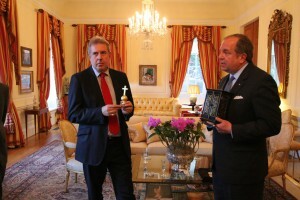 Accepting for Prince Charles, was His Excellency Sir Nigel “Kim” Darroch, KCMG. 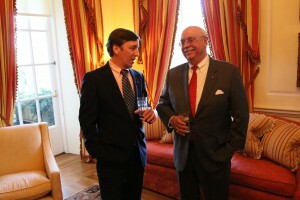 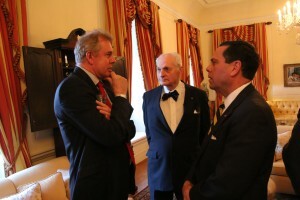 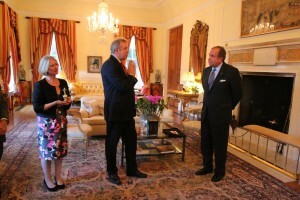 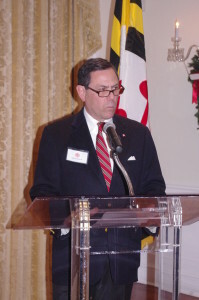 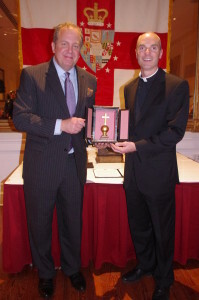 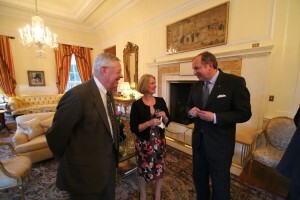 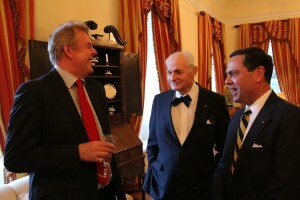 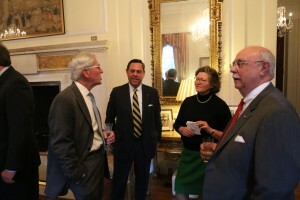 Members of the council were treated to a cocktail reception by Sir Kim and his wife Lady Vanessa Darroch at the Ambassador’s residence in Washington, D.C.
During the Society’s December 5th Christmas Cocktail Party, a presentation of the Liberty Tree Cross was made to Pope Francis. 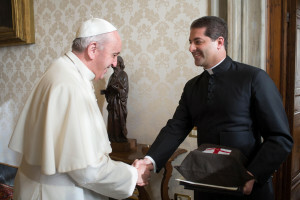 in a private meeting at the Vatican. 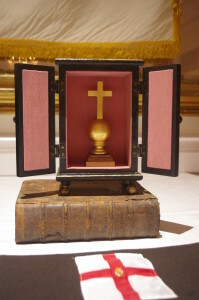 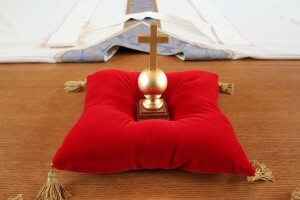 The Pope’s gift will go on display at the library museum of the Pontifical College of North America. 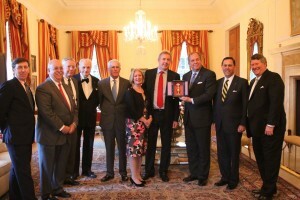 First in Freedom of Conscience 2015. 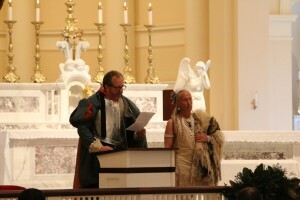 For stories and more pictures click on the Media page. 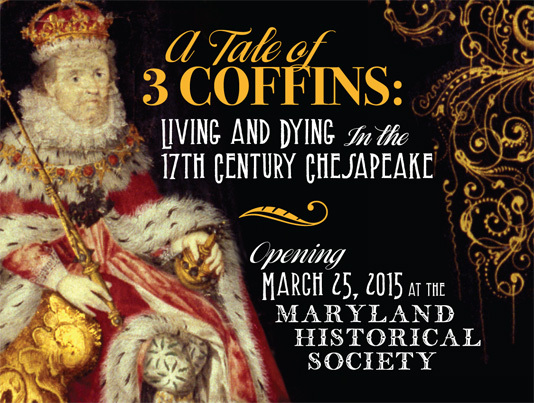 See the unique lead coffins that were discovered in St. Mary’s City in 1990. 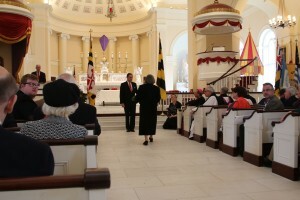 Holding members of the Calvert family, they are the only physical remains of Maryland’s founding family that scholars have ever recovered. 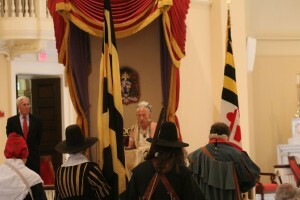 At the start of the exhibit, visitors are greeted by a hologram of a 17th Century colonial man. 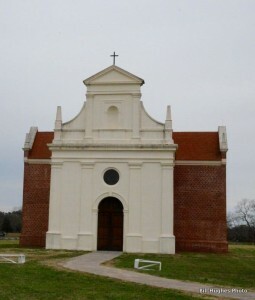 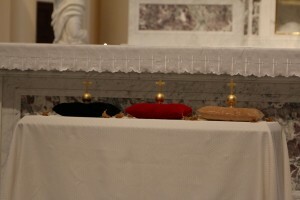 The exhibition contains the coffins in the exact arrangement as they were discovered in the foundation of the Jesuit Chapel, the oldest brick building in Maryland. 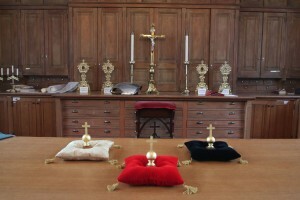 A tiny skeleton of a child that died in infancy will be on display: Its bones are very fragile and some are quite small. Visitors will discover vivid insights into 17th Century life from what settlers ate to the often gruesome medical practices they faced to their religious and burial customs that present a complete view of the harsh reality of 17th Century living. 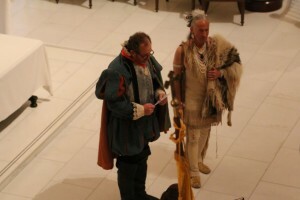 A special focus of the exhibition is on the process of archeological investigation and includes film footage of the surprising and unusual discovery. 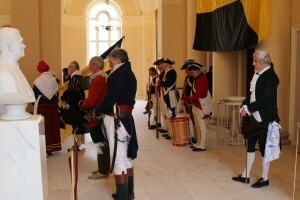 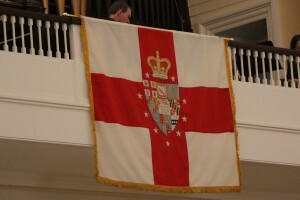 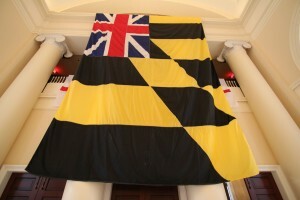 This exhibition is made possible by The Society of Colonial Wars in the State of Maryland, with additional support from Historic Saint Mary’s City, the Society of the Ark and the Dove, Colonial Lords of the Manor, Hereditary Order of Descendants of Colonial Governors Chapter I – Baltimore, Maryland – The Colonial Dames of America and The National Society of the Colonial Dames of America in the State of Maryland (NSDCA-MD).